Northern Australia’s summers are intense! When you install a pool from Barrier Reef Pools Townsville you will improve your family’s quality of life, you will save you money and you will add real value to your home. 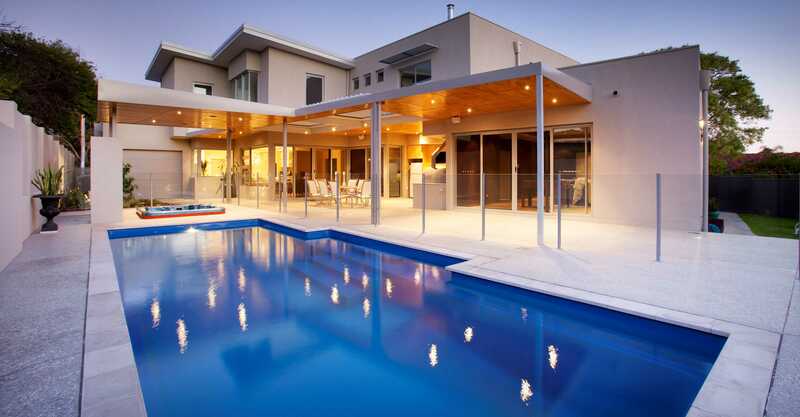 When selecting a quality pool from Barrier Reef Pools Townsville you’ll fully appreciate the benefits of dealing with our locally based pool building company totally dedicated to providing only the best and most affordable pool/lifestyle options. We have combined industry experience of 25 years, we pride ourselves in our work and strive to meet the needs of our fibreglass swimming pool customers. Barrier Reef Pools have an enviable reputation for style, quality and price and we have great confidence in providing you only the best to suit your lifestyle. “We have a large range of affordable fibreglass swimming pools to suit everyone’s lifestyle” comments Tracy Johnson, owner of Pools Townsville, “we offer a complete pool service at Townsville’s best prices across Northern Queensland”. All our fibreglass swimming pool shells are manufactured in Queensland and we pride ourselves on building the best swimming pool on the market today. 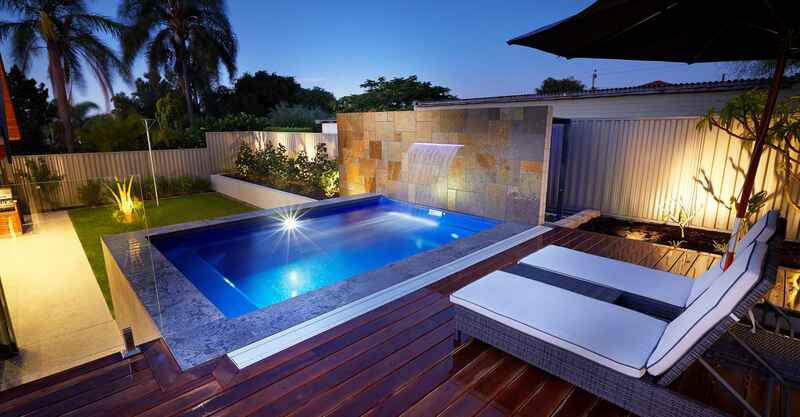 A quality pool from Barrier Reef Pools Townsville becomes an investment adding real value to your home. When selecting your Barrier Reef Pool Townsville, you’ll enjoy peace of mind knowing that your pool is manufactured in Queensland and holds the prestigious 5 tick approval for a certified product which is awarded by the independent governing body SAI Global. All our shells are of the highest quality and come with a 25 year structural warranty. If you like the idea of dealing with a family owned and operated business with old school values then give us a call. You will deal with the same people from the initial enquiry, through the easy and convenient installation process all the way to completion. Our professional team will post or email you a detailed brochure on the shapes and sizes we have to offer, this will give you the chance to peruse and discuss before your on-site inspection. Boasting six shimmer colours combined with three royal colours you can be assured we have a colour for you. Barrier Reef Pools pride themselves in only using a marine grade gelcoat (ISO NPG. ), ensuring the surface in the contact with pool water is the best. Barrier Reef Pools offer a 25 year structural warranty with their pool shells. 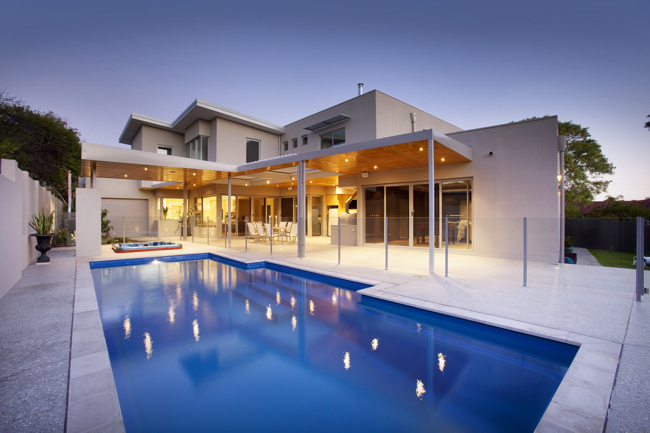 There is also an internal warranty which meets SPASA Guidelines and Australian Standards, as opposed to concrete pools which at best, will guarantee a seven year structural warranty. Barrier Reef Pools Townsville is the only Fibreglass Swimming Pool provider to be awarded the '5 tick' Certified Award. 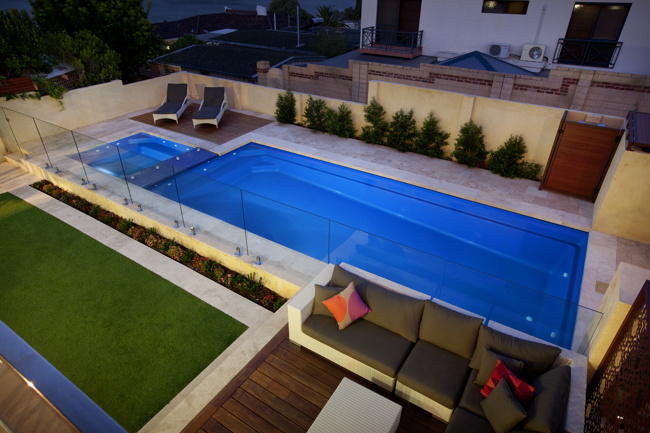 This proves that you are purchasing quality when you choose Barrier Reef Pools for your next fibreglass swimming pool. 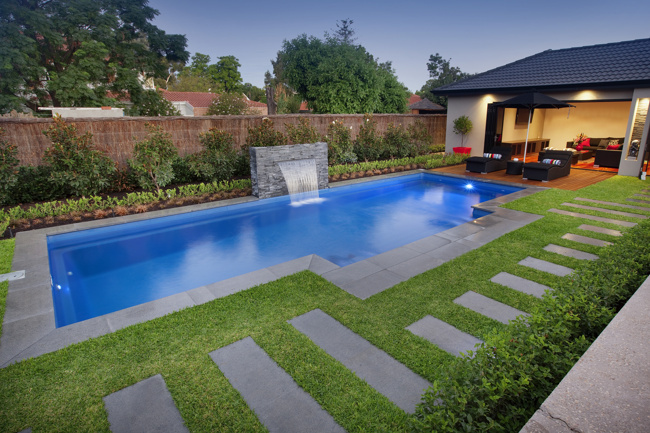 Development and expansion of our modern shapes and sizes is constant so that our range of pools is second to none. With an 800m2 facility dedicated to new pool development ensures that you will have a choice of the very latest designs and features to suit your lifestyle. 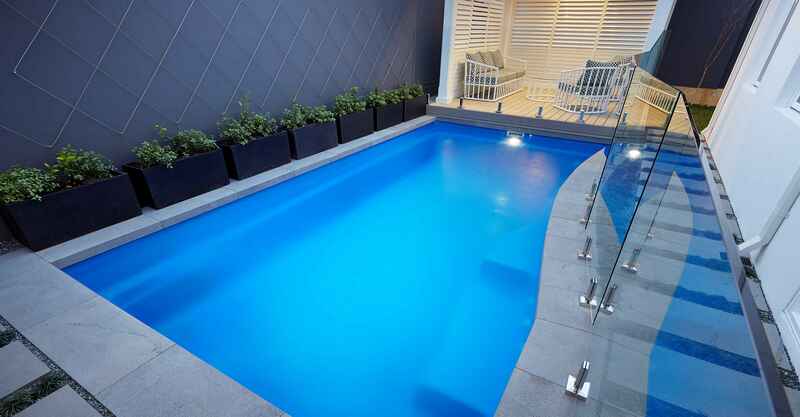 Pools feature a super soft high gloss surface in a fantastic range of vibrant shimmer and royal colours. This ultra-hard-wearing surface is non-porous, stain and chemical resistant and of course is so easy to maintain and clean. INSIST ON A BARRIER REEF POOL RIGHT HERE IN TOWNSVILLE. YOU TOO CAN ENJOY OUR SUMMERS RIGHT HERE IN THE NORTH.